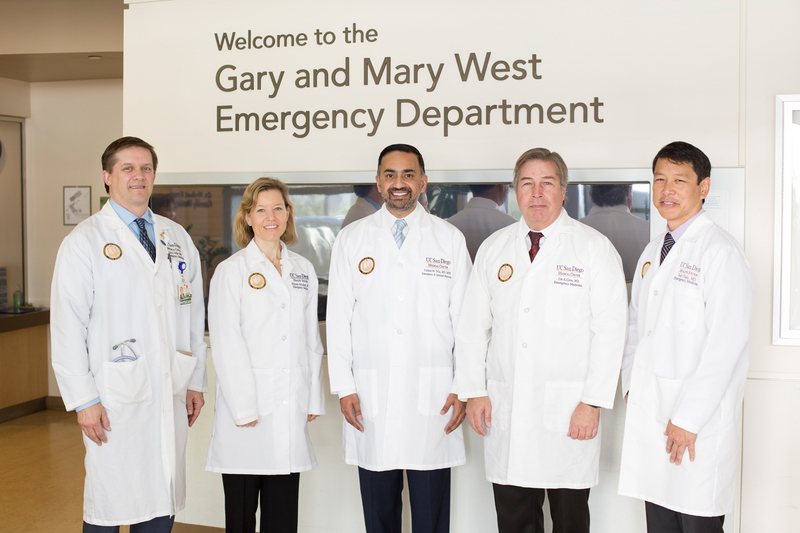 The Gary and Mary West Emergency Department at UC San Diego Health in La Jolla has been accredited as a geriatric emergency department by the American College of Emergency Physicians (ACEP). The accreditation is the first of its kind and is part of an effort to improve the quality and standards of emergency care provided to the nation’s older patients. It builds upon the foundational work and support of the Gary and Mary West Health Institute and The John A. Hartford Foundation to enhance geriatric emergency care across the country. The ACEP accreditation requires hospital emergency departments to have both physicians and nurses on staff with specialized geriatric training, meet specific environmental criteria, such as ensuring easy patient access to water and mobility aids, and implement a geriatric quality improvement program. UC San Diego Health received a Level 1 designation—the highest and most comprehensive level. 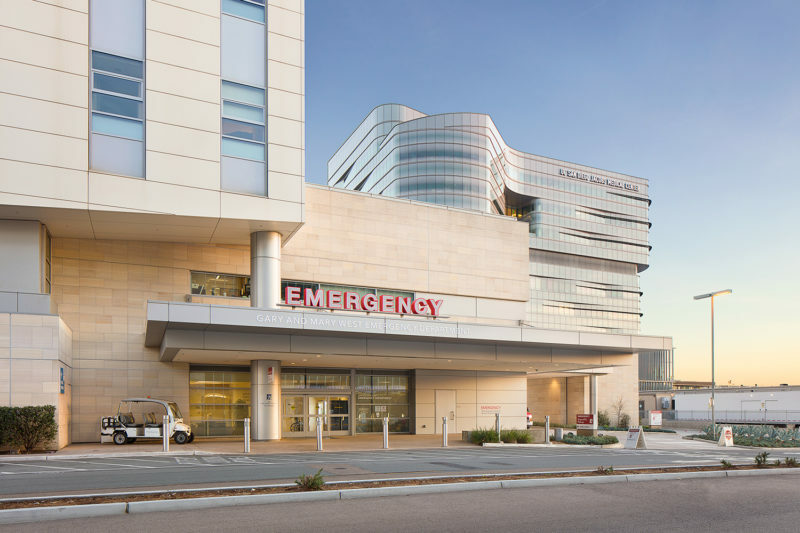 Seniors who arrive in the emergency department at Jacobs Medical Center in La Jolla are treated by a team of specialists in geriatric medicine. At the center of this care unit are specialized geriatric nurses, physicians, pharmacists and social workers. As a group, they focus on senior-specific issues, such as fall risk, cognitive and memory problems and medication interactions—all common complications when treating older adults. Additionally, the team tries to lower hospital admissions and re-admissions for seniors as well as working with patients and caretakers to ensure a smooth transition home. The U.S. Census notes that by 2029, the entire Baby Boomer demographic group will be 65 or older. More than 21.3 million patients over the age of 65 were treated in emergency rooms in 2015, according to the latest available statistics from the National Hospital Ambulatory Medical Care Survey, up from about 16 million in 2001. Those numbers are expected to continue to rise. Studies in the Annals of Emergency Medicine cite increased health vulnerability in older adults after an emergency visit, typically related to the illness or injury that required emergency care. 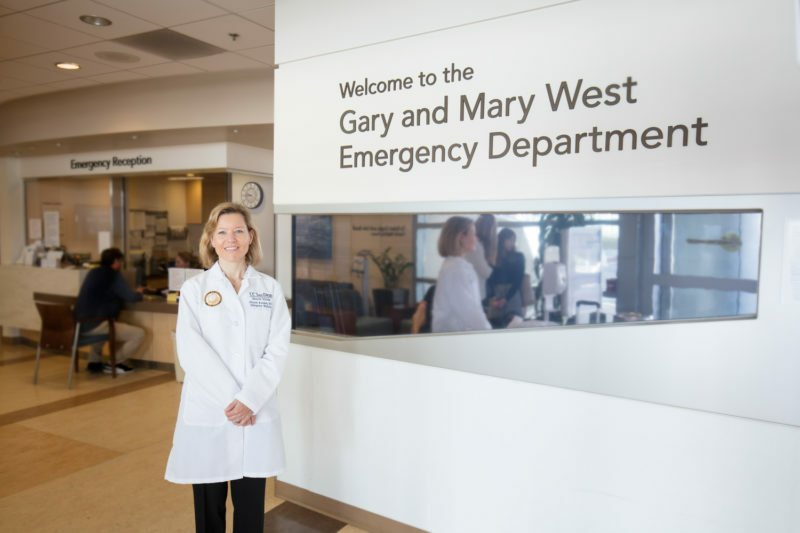 Gary and Mary West provided an $11.8 million grant through their foundation to UC San Diego Health to create the state-of-the-art Gary and Mary West Emergency Department at Jacobs Medical Center in La Jolla, where specialized geriatric care has been available since the hospital opened in 2016. It will soon offer senior-specific exam rooms and observation bays in the Gary and Mary West Senior Emergency Care Unit. Additionally, the Gary and Mary West Foundation’s grant enables research initiatives between UC San Diego Health and the West Health Institute to identify, evaluate, and disseminate best practices in geriatric emergency care. Solely funded by philanthropists Gary and Mary West, West Health includes the nonprofit and nonpartisan Gary and Mary West Health Institute and Gary and Mary West Foundation in San Diego, and the Gary and Mary West Health Policy Center in Washington, D.C. These organizations are working together toward a shared mission dedicated to enabling seniors to successfully age in place with access to high-quality, affordable health and support services that preserve and protect their dignity, quality of life and independence. For more information, visit westhealth.org and follow @westhealth. The John A. Hartford Foundation, based in New York City, is a private, nonpartisan, national philanthropy dedicated to improving the care of older adults. For more than three decades, the organization has been the leader in building a field of experts in aging and testing and replicating innovative approaches to care. The Foundation has three areas of emphasis: creating age‐friendly health systems, supporting family caregivers, and improving serious illness and end‐of‐life care. Working with its grantees, the Foundation strives to change the status quo and create a society where older adults can continue their vital contributions. For more information, visit johnahartford.org and follow @johnahartford.